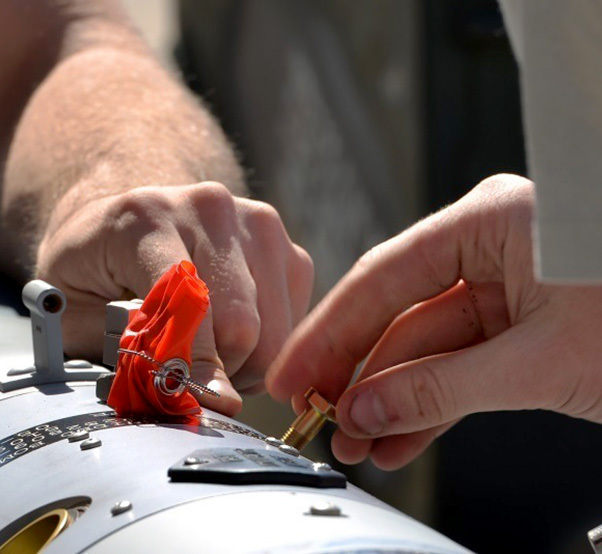 The 33rd Aircraft Maintenance Squadron Airmen prepare to load a missile-guided bomb onto an F-35A Lightning II Oct. 16 at Eglin Air Force Base, Fla. Load crew members assembled the missile before loading it onto the F-35. 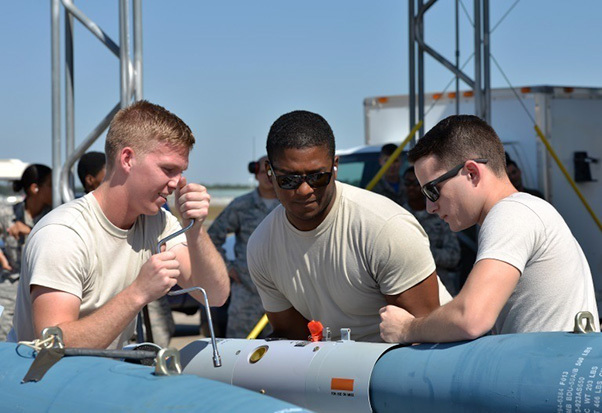 Airmen from the 33rd Aircraft Maintenance Squadron prepare a missile-guided bomb unit to be loaded onto an F-35A Lightning II Oct. 16 at Eglin Air Force Base, Fla. Load crew members worked together to assemble the missile before loading it into the aircraft. 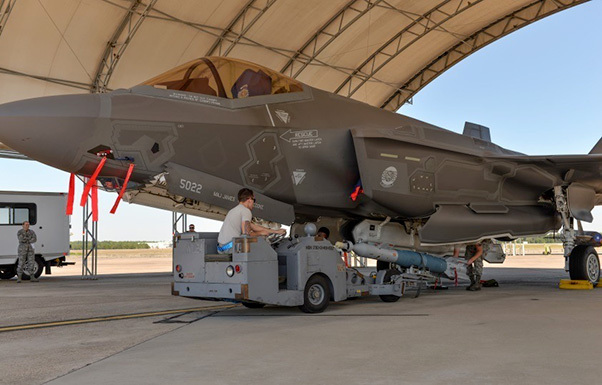 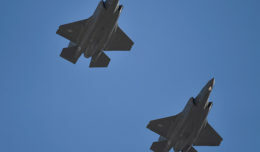 The 33rd Aircraft Maintenance Squadron personnel load a missile-guided bomb unit onto an F-35A Lightning II Oct. 16 at Eglin Air Force Base, Fla. Flightline munitions load training allows load crews to perform in a more realistic work environment. 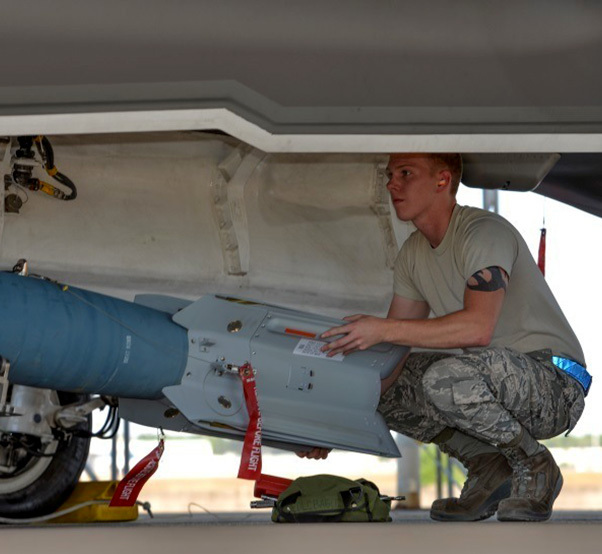 A1C Zachery Justice, 33rd Aircraft Maintenance Squadron load crew member, moves a missile-guided bomb unit into position to load onto the F-35A Lightning II Oct. 16 at Eglin Air Force Base, Fla. Weapons-load Airmen worked in stages to assemble and move the missile into the proper position for safe load onto the aircraft.